New Delhi, February 1: There was happiness in each and everyone’s mind as Union Budget for the financial year 2019-20 is very impressive plus is for the people, presented by the Finance Minister in the Parliament today, envisaged a total outlay of Rs. 27,84,200 crore. Out of this Rs. 3,18,931.22 crore has been earmarked for Defence (excluding Defence Pension). For Defence Pension, an amount of Rs. 1,12,079.57 crore has been provided in BE 2019-20. 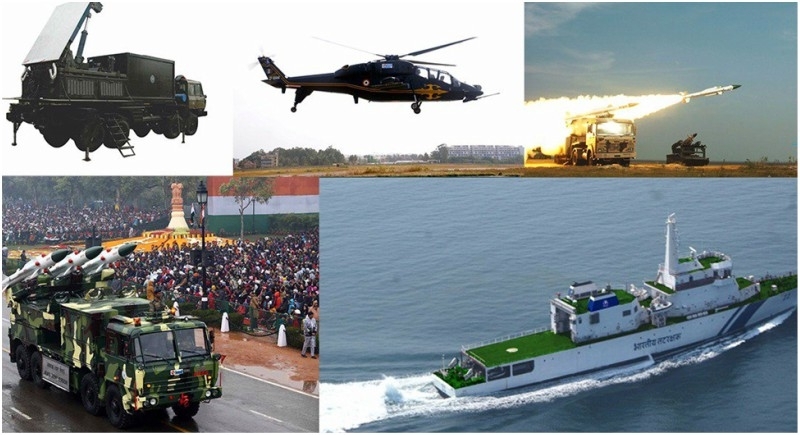 Total Defence Allocation, including Defence Pension, accounts for 15.48% of the total Central Government expenditure for the year 2019-20. Last year Union Budget had a total outlay of Rs. 24,42,213 crore. Out of this, Rs 2,95,511.41 crore had been earmarked for Defence. This accounts for 12.10 percent of the total Central Government expenditure for the year 2018-19. The allocation of Rs. 2,95,511.41 crore represented a growth of 7.81 percent over Budget Estimated (Rs. 2,74,114.12 crore) and 5.91 percent over Revised Estimates (Rs. 2,79,003.85 crore), respectively for the financial year 2017-18. Out of Rs. 2,95,511.41 crore allocated for the financial year 2018-19, Rs. 1,95,947.55 crore had been allocated for Revenue (Net) expenditure and Rs. 99,563.86 crore for Capital expenditure for the Defence Services and the Organizations/ Departments under Ministry of Defence. The amount of Rs. 99,563.86 crore, allocated for Capital expenditure, included modernization related expenditure. The Capital allocation for Ministry of Defence under BE 2018-19 is 33.1 percent of the total Central Government Expenditure on Capital Account, which is Rs 3,00,441 crore. For Defence Pension, which was over and above the outlay mentioned above, an amount of Rs. 1,08,853.30 crore had been provided in BE 2018-19. This was 26.60 percent above the BE 2017-18 of Rs. 85,740 crore and 14.26 percent over RE 2017-18 of Rs. 95,000 crore.